"Bastards," the acoustic country-ish tune that opens Rainbows, the latest offering from pop singer-songwriter Kesha, shows the extent to which she's embraced a different approach. Known for clubby tunes such as "TiK ToK" and "We R Who We R," Kesha puts the emphasis on the songwriting. 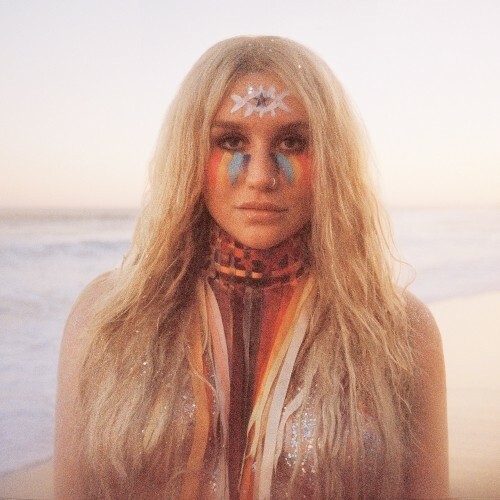 Poppy tunes such as "Let Em Talk" and "Woman" hearken back to her pop star past, but Rainbows ultimately shows how much Kesha's sound has matured. (Jeff Niesel), 7:30 p.m. Lakewood Civic Auditorium. Boston-bred rapper Cousin Stizz turned heads with his 2015 mixtape Suffolk County. He followed that release up with the highly emotional MONDA, an album he devoted to his friend, a cancer victim. Earlier this year, after a reported bidding war, he returned with One Night Only, his major label debut. He virtually talks his way through the album's infectious lead single, the woozy “Headlock.” The track features a cameo courtesy of Offset, who delivers some rapid-fire raps over the plodding beats. It's become Stizz’s first mainstream hit, making him one of the only rappers out of Boston to receive national attention. 9 p.m., $16-$50. (Niesel) Grog Shop. While it might have taken 17 years to arrive, longtime fans will find that singer Michael McDonald's new album Wide Open is more than worth the wait and quite possibly the best record that McDonald has put out as a solo artist. The former Doobie Brother wrote or co-wrote 11 out of the album’s 12 songs, and “Half-Truth,” one particular standout, burns with an energy that shows that he still has plenty of fire, both vocally and musically, accentuated by an intense guitar solo from Dann Huff. (Michael McDonald), 8 p.m. Hard Rock Rocksino Northfield Park. Singer Brent "Wesley Bright" Wesley and a different backing band played its first gig a few years ago, and he’s been going strong ever since. Because of its terrific live show — sharp-dressed Wesley is a real dynamo on stage — the soul/old-school R&B band is suddenly in high demand. Songs such as "You Don't Care About Me" feature a steady bass beat and soulful, Otis Redding-like vocals. Recently, the band issued "You Don't Want Me/Work it Out: Part 2),” a cheeky soul pop tune that Bright has said sounds like "Sam Cooke meets Vulfpeck." “Work it Out: Part 2" shows the band's explosive side and delivers some James Brown-inspired funk. (Niesel) 8:30 p.m., $15. Beachland Ballroom. While they’re mostly known for Rubberneck-era hits like “Possum Kingdom” and “Tyler,” Toadies have been kicking around heavy Texas rock riffs for more than two decades hence. The band’s latest album, The Lower Side of Uptown, dishes some pretty great rhythms and songwriting; frontman Vaden Todd Lewis says that the record is “full of riffs and time shifts.” From “When I Die” to “Keep Breathing,” it’s clear that the distortion-laced guitar takes center stage on this new album. These songs should translate well to the stage, and don’t forget that we’ll all be rocking to classics like “Backslider,” too. (Eric Sandy), 9 p.m., $22 ADV, $24 DOS. Grog Shop. For anyone coming of age in the mid-aughts, Paramore was a band you listened to when you wanted to throw things and jump around a lot. While the Nashville three-piece came onto the scene in a hard-rock emo rage, their sound has thankfully matured. Their most recent album, After Laughter, promises to make fans still want to move, but now in a celebratory dance kind of way. The trio's frontwoman, Haley Williams — who's as famous for her ever-changing hair color (she even has her own hair-dye line, GoodDYEYoung) and straight-edge lifestyle as she is for her powerhouse lyric soprano vocals — continues to impress with these new '80s-infused tunes. Check out "Hard Times" and also the album's ballads, such as dream-filled "26." No wonder tonight's show is reportedly sold out. And obviously, if you managed to score tickets to this concert, you'll get there in time for Best Coast's set. The indie rock act opens the show. (Laura Morrison), 8 p.m., $39.50-$65. Akron Civic Theatre.